We’ve all experienced dark nights of the soul, times when we endure spiritual crises that bring us to our knees. We lose hope, hit the bottom of the depression pit, and perhaps even consider suicide. Let’s be real. Maybe you wouldn’t do it, but have you thought about it? Taking the focus off myself and putting it on others has always lifted me from the deepest, darkest depths of despair. In 2004, Ted, Rocco, and I visited veterans at Brooke Army Medical Center in San Antonio. That day was one I can still see and feel in my mind. The three of us went from room to room, floor to floor, visiting severely injured soldiers. The sights were gruesome—much worse than any Hollywood movie could depict. Ted played his guitar and entertained some of the troops in a rehab room. A young man who had suffered serious burns all over his body was strapped onto a bed; his arms and legs were extended. Emblazoned in my memory are the moaning sounds he made while his limbs were stretched so new skin would have a chance to grow. As we ascended to higher floors, the wounds on these hero warriors seemed to get worse. The cheery demeanor of a beautiful, dark-haired woman overpowered the fact that half of her face had been maimed. She smiled wide and bright as she talked about recovering quickly so she could rejoin her fellow soldiers. Nineteen year-old Corporal John Chrzanowski had been brought in the night before we arrived. Wrapped from head to toe like a mummy, John had been burned all over his body. To minimize the chance for infection, John’s visitors were kept to a minimum. Ted scrubbed up, put on a face mask and gown, and headed in to give John a pep talk. Rocco and I stood outside the room with John’s mother, Nancy. I had no idea what to say to her. How could any words bring her comfort? I asked if there was anything she needed, anything I could do for her. With all the confidence in the world that her son would someday make a full recovery, Nancy Chrzanowski lifted her chin and said defiantly that her son was an outdoorsman and she couldn’t imagine him recovering without being able to get outside. At the time, there was no patio at BAMC to shelter burned and wounded veterans from direct sunlight. I was slightly stunned, but I leaped into the conversation as if something else had taken over my words. I had zero experience with fundraising and had no idea how I would do it, but I told Nancy I’d raise the money to build a patio at the center so her son and so many others could get outside into fresh air but stay out of the sun. 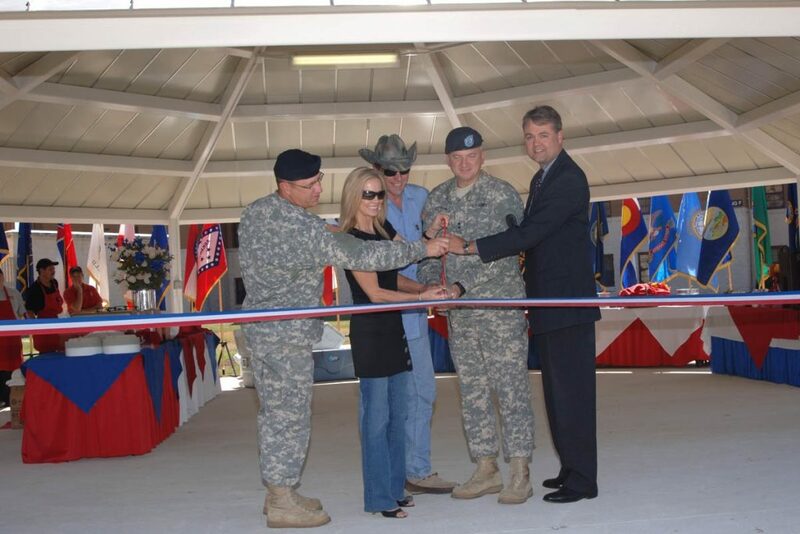 With the help of my husband, Ted, Texas governor Rick Perry, and so many others, a beautiful pavilion was created at Brooke Army Medical Center and has provided relief to hundreds of deserving and honored American military veterans. That experience prompted me to start Freedom’s Angels to help wounded soldiers and their families. Most recently, we raised money to provide a much needed track chair to a veteran who had lost his legs. Now, he can go to the beach with his family and not worry about the complications of walking with prosthetic legs in the sand. Ted and I are also on the board of directors for Operation Finally Home, which provides mortgage free homes to veterans and their families – something they should have anyway. We also help raise money and awareness for many military charities like K9s for Warriors, which places shelter dogs with veterans suffering from post traumatic stress. We’ve hosted too many children with terminal illnesses for me to count. Or want to. Meeting innocent children stricken by a death warrant is heartbreaking. It’s so unfair to them and their families. It puts everything in perspective, doesn’t it? How dare I complain of having a bad hair day or gaining a few pounds? Those children would love to have my problems. So whenever I have my pity days, I think about people who struggle with much more daunting tribulations, and I get involved. You don’t have to write a check to make a difference. One Thanksgiving, Ted, Rocco, and I went to a soup kitchen and served the homeless. Lend a helping hand to others and you’ll be more appreciative of what you have. What can you do to help someone today? This week? This month? How about this year?